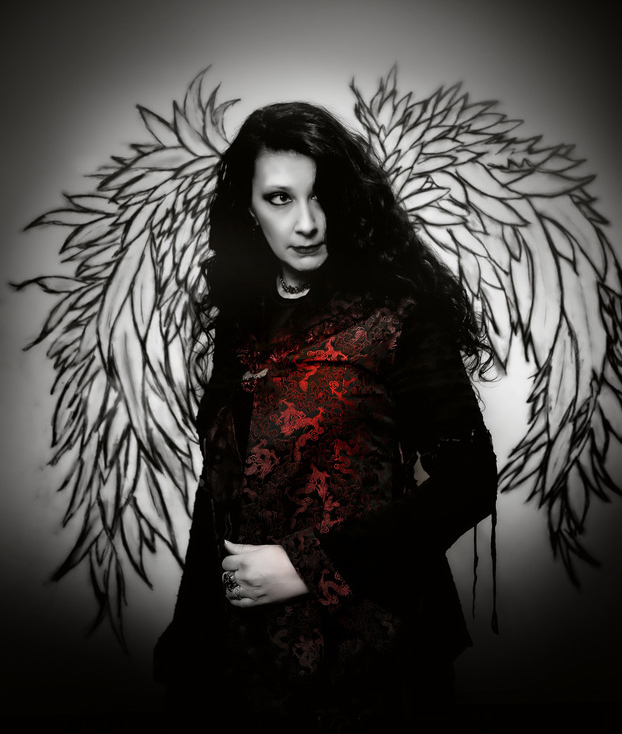 I love books of many types, but especially those in the Vampire genre! 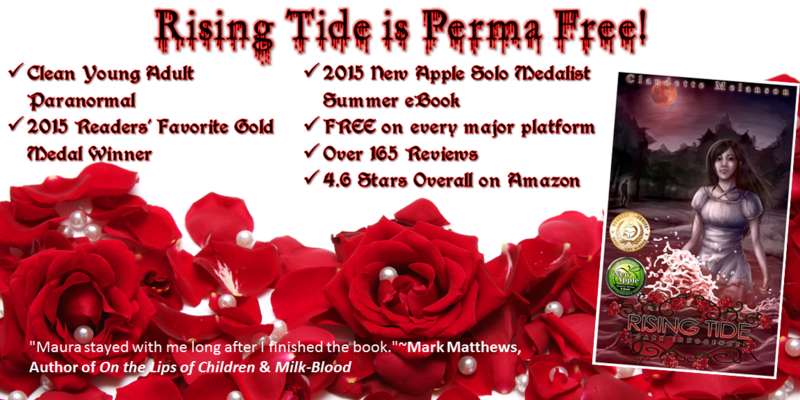 Rising Tide is now Perma Free! 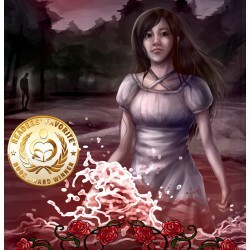 Looking for a great YA read? In a dark, dark wood there was a dark, dark house. And in that dark, dark house there was a dark, dark room. And in that dark, dark room there was a dark, dark chest. And in that dark, dark chest there was a dark, dark shelf. And on that dark, dark shelf there was a dark, dark box. And in that dark, dark box there was — A GHOST! If life has taught me one thing, it is this: that the worst monsters are entirely human. In the bestselling vein of Guillermo Del Toro and Justin Cronin, the acclaimed author of Chimera and The Hydra Protocol delivers his spectacular breakout novel—an entertaining page-turning zombie epic that is sure to become a classic. 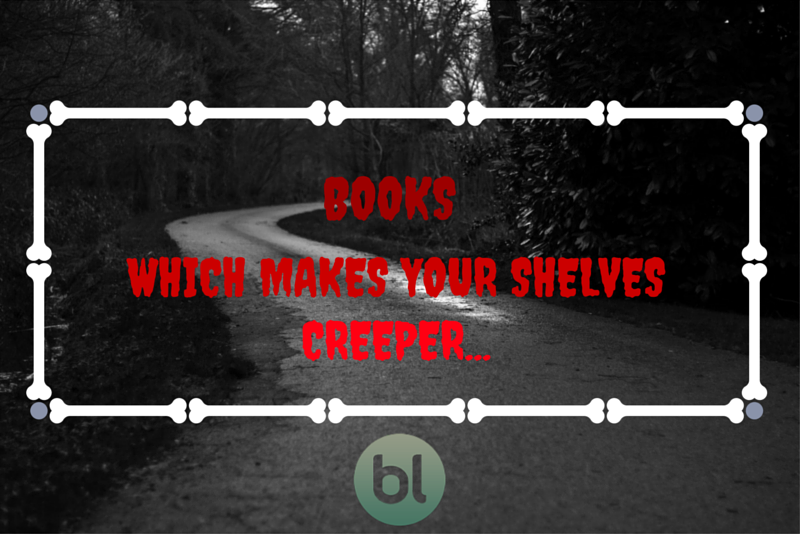 What books are you going to read before Halloween, Booklikers? 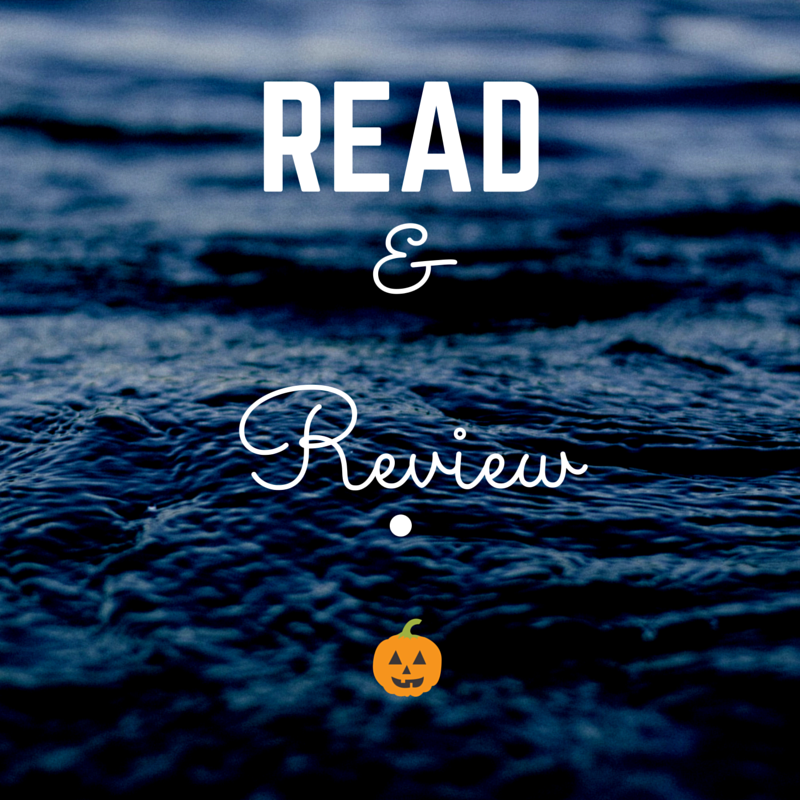 Share your #Halloween-reading with us. From the start, I liked the author's writing. The story unfolds and then it gets even better. 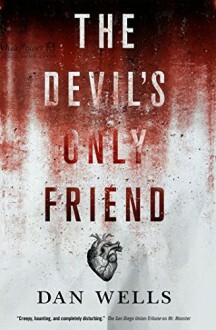 The plot kept me interested and I really did not want to put the book down because I felt like I would miss out a significant event. Maura (also known as Mink) is one of those characters that has many sides to her. The execution of this flawless because as a reader you keep reading to find out more about Maura. Because the story is filled with twists, turns and romance, you will not feel the length of the book. It all feels too short and like it ended too soon. The author's depiction of each scene is relayed in a realistic manner, a factor that made me like Rising Tide a whole lot more. Looking forward to reading the second book with glee. 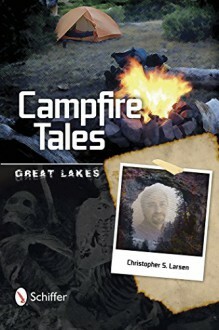 Reviewer Disclosure - I received a free copy of this book. All opinions are my own. 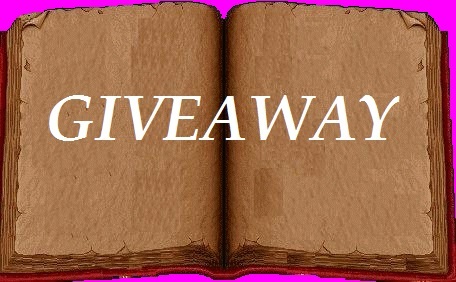 Please note this post is from Snoopy Doo and can be found here: http://myreads.booklikes.com/post/994837/pre-order-undertow-death-s-twilight-by-claudette-melanson-excerpt-giveaway Thank you so much, Snoopy Doo for this post!! With the arrival of Christmas comes the opportunity for Maura to draw close to everyone she loves—and finally reunite with Ron, her long-distance boyfriend. But permanence has always eluded her, and in her current state of flux this pattern endures, as fate seems intent on snapping the threads that bind her to those she holds most dear. Maxwell’s good intentions pave a road for Maura, littered with misery, while her mother, Caelyn’s, desire to shield her family from pain may tear her away from them, altogether. The perfect happiness in the young vampire’s grasp is so easily swept away and dragged under, out of reach. Can Maura erupt from the darkness and confusion to break the surface and find the life she’s always dreamed of? 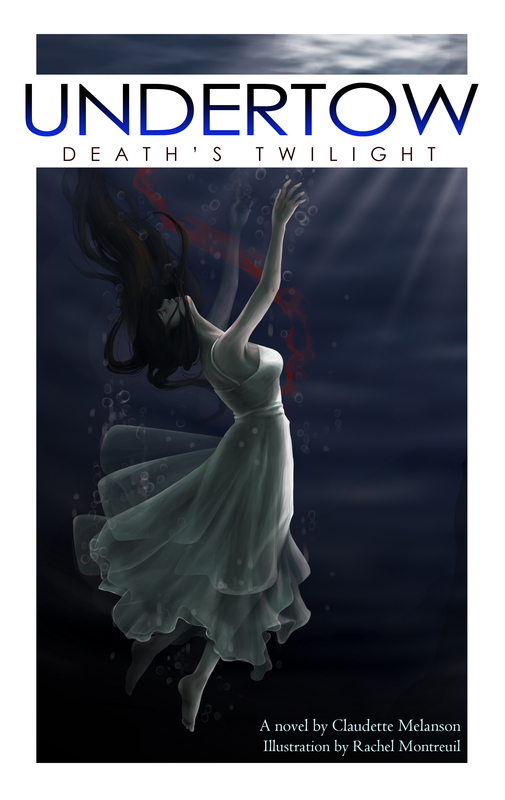 Undertow: Death’s Twilight is the second book in the Maura DeLuca trilogy and the sequel to Rising Tide: Dark Innocence. 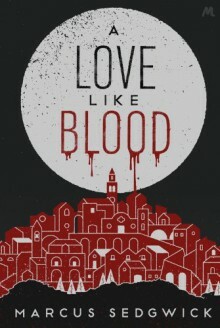 In this dark, urban fantasy, readers will discover a world full of uncommon vampires, troubled romance and a splash of blood—and uniquely devoid of werewolves. The rollercoaster that is Maura’s life continues in this YA, paranormal novel that fans of the Twilight series, Vampire Diaries, and Vampire Academy will love. 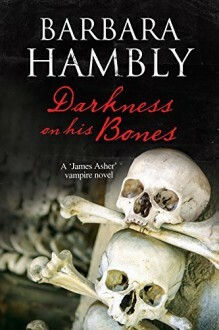 Reminiscent of the classic Fairy Tale, the characters introduced in this series are at the other end of the spectrum from the vampire found in the age of Bram Stoker and his famous Dracula. 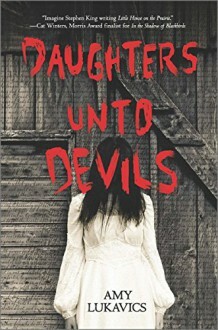 Although there are ties to the myths created by Stoker and his timeless novel, the Maura DeLuca story possesses a sprinkle of magic, coupled with ‘monsters’ that—in most cases—retain the majority of their humanity. Well, there was another question I’d been tossing around, answered. I found it so strange to consider that if my father had been around for innumerable years, I was his only offspring. His words did offer some comfort, though it was a shame he hadn’t been around to help me with my little Katie Parker problem. As if he’d read my thoughts, Maxwell said, “I’m sure Katie Parker is sorry she ever hatched her little plan to hurt you.” His smile was very smug. “And I only planted a hint of suggestion to make her feel guilty…as she should!” He glanced over at me. “I may have compelled her friends to avoid her as if she herself has the plague. And she might have been influenced to have a few nightmares, vividly placing her in the same predicament in which she left my dear daughter, causing her to wake up screaming from time to time.” He shrugged as if this were nothing and grinned. I couldn’t help it. It was my turn to smile smugly. Caelyn rolled her eyes at us and left the room again in a huff, but not quickly enough that I didn’t catch the sly smile beginning first in her eyes and pulling at the corners of her perfect lips. Claudette Melanson lives in Guelph, Ontario, with her husband Ron and four bun babies: Tegan, Pepper, Butters & Beckett. She was born in Bristol, Tennessee and graduated from Indiana University of Pennsylvania with a BA in English and an MA in Literature. Vampires have been a passion since age five. She hopes to one day work full time as an author, since there are many, many books living inside her head.In her spare time she enjoys watching Japanese Anime and reading vampire stories....along with other great fiction. She is also very interested in good health and is an advocate of Ketogenic eating, using whole and natural foods. Future dreams include writing many more books, spending more time with her son Jacob and Sister Susie. She hopes to take them and her nieces Maggie, Sadie and Sophie to Disneyworld with the proceeds from the first novel. A Rabbit Rescue fanatic, she also hopes to help rescues all over the world save many innocent lives. Almost two months ago, my husband drove me down to Buffalo, New York for a book signing at a popular café. I’m kind of new at all this, given Rising Tide is my first novel and all, so I’m learning a lot about the world of publishing…and marketing. It turned out we were at the café during a very slow time for business. The book signing wasn’t a huge success—and I do count every, single sell as a success—but I was still happy we got to go on a road trip, listening to the blog of the phenomenal author Lindsay Buroker on the way and soaking up some awesome promo tips. We ate a really nice lunch out, which is something we don’t do a lot. I had a Huevos Rancheros brunchy-style dish that was simply to-die-for. And yes, of course I skipped the flour tortilla ;)! Plus, we were in New York…and that meant a visit to Trader Joe’s! I love that place! So many healthy items to pick up, including two of my favorites, cashew flour and canned coconut cream! How I wish we had this chain in Canada. We have organic butter here, but not the Kerrygold grass-fed, and when you give grains to a cow it changes not only the meat, but the dairy, as well…but I digress! 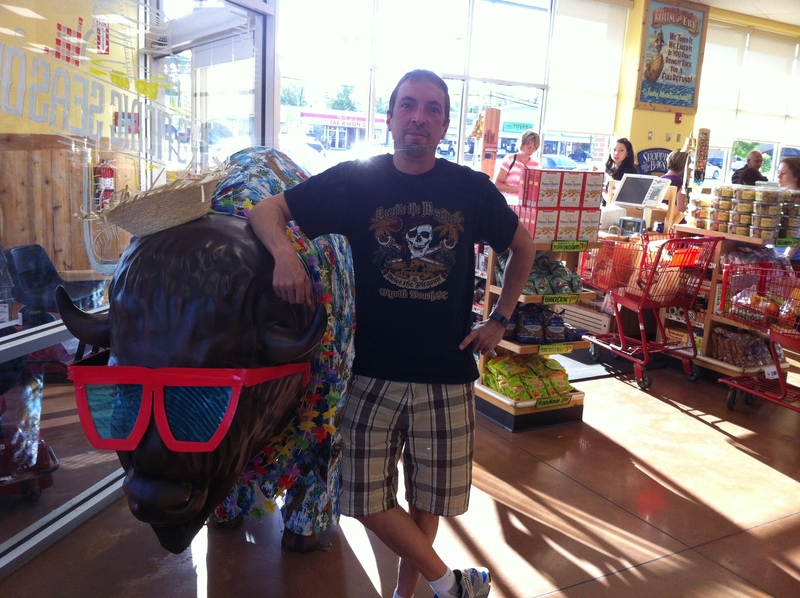 Ron and I always take a picture with the huge buffalo that stands at the front of the store when you walk in. The last time we’d been there was at Christmas, and Mr. Buffalo had been decked out in full Santa attire—suit and all! 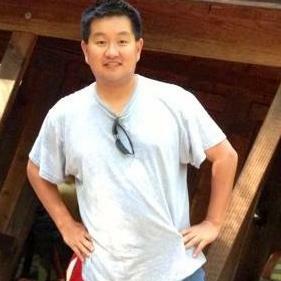 Since the weather was warming considerably, he looked much more ready for a visit to Hawaii or The Bahamas, this time. Ron posed beside Tropical Buffalo (see picture), smiling at his straw hat, mammoth sunglasses and flowered-shirt—where does one find a buffalo-sized flowered-shirt anyway? Behind us were some of the sweetest people I ever met in my life. They were visiting Buffalo like us, but from Michigan. Marie, a real darling with a mischievous sparkle to her eye, asked if I would take a picture of her and her sister with the buffalo. Ron and I grabbed a camera from each of them and snapped away, happy to oblige. We talked with Marie and sister, Barb, a little more, and the rest of the family with them—I believe it was Marie’s daughter, husband and kids. Whenever I meet someone with whom I have a real connection, I like to just let them know Rising Tide is out there. I try to never be pushy, so simply handed them my card and asked them to check out my author site online if they had a spare moment. I informed her I had some in my trunk, and she and Barb said they both wanted a signed copy. I was ecstatic! “You do?! !” I exclaimed. I still find it incredible that readers want to purchase my work, so every sale is so special to me. But this was just so unexpected and completely random—like fate. It was one of my most favorite sales to date, for sure! (But I feel that way every time, even every single day when I look at my sales online). I got each of them a book and put well wishes into the dedications. Marie says to me, “Oh this is a trilogy? Well, you’d better hurry up and write the next one because I’m seventy!” She was quite the young seventy, I have to say! And Nee Cee…you know who you are…she seemed to share your impatience for the sequel (thank you both!). I told her my grandmother lived to ninety-six, so she had lots of time. We talked a bit more, laughed and posed by the buffalo so Ron could snap pictures of us together. I’m still shell-shocked and massively humbled that people not only want my autograph, but pictures of lil old me with them. I only regret that Ron didn’t get a picture with our camera. I’d asked Marie & Barb to send me one for this blog, but I wanted to get it written up before too much time went by. If you gals read this, please send me a copy! Wherever you two are, thank you so much for making this author’s day that Saturday at the end of May. I’ll remember you for all of forever, and if I ever did achieve Meyer fame, you’ll always be one of those moments that stands out from the beginning of my writing , living in my memory for all my days. 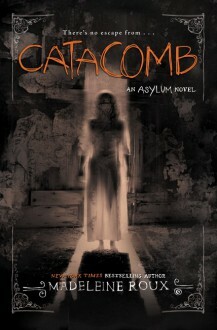 “Are you sure you want to come in?” I hated the fear that permeated my voice. I didn’t know if I was more afraid of Caelyn screaming at Ron before she knew what had happened, or her falling apart in front of him after she’d heard everything. It was too late now…he was ringing the doorbell. He looked so much braver than I felt. I could see the anger that had crept back into him in the hard set of his lips, the flash in his dark eyes. It didn’t take long at all for Caelyn to tear the door open, anxiety all over her face. She looked at Ron, dumbfounded. She must have caught sight of some part of me, because she instantly peered around his shoulder then to find me, standing meekly behind him, clad only in a boy’s shirt that just barely cleared my hips. “Maura?! What the…” her eyes fairly popped with dismayed astonishment. Caelyn just stood there with her mouth hanging open. I felt the fear turn over, like a living thing, in my stomach. How was I going to survive this? How could I even begin to explain everything that had happened tonight? Luckily I had Ron. “Hi, um, Ms. DeLuca,” he started out sounding very shy, but as my mother’s brows furrowed closer together, he put a stronger edge to his voice. “I came to bring Maura home.” She was still scowling. “Um…I’m Ron by the way,” he put his hand out to her. She ignored that entirely. Oh boy…she thought Ron was at fault for whatever imagined atrocities were going through her brain right now. “N-n-no ma’am,” I stuttered. I hurried past Ron, but not without looking up at him with apology in my eyes. I felt horrible for his being put in the middle of all this just because he’d happened to save my life. I was confused then. Did she want me to stay quiet or answer her question? Ron saved me again. “I think I can explain,” he took a tentative step onto the living room carpet. I didn’t like the way Caelyn’s head snapped around when she looked at him. “What was your name again?” she asked viciously. She turned on him then. “Well Ron,” it sounded like she’d chewed on his name before spitting it out, “do you mind telling me why it is you’re out with my daughter…when she’s supposed to be with Katie Parker? And after you’ve answered that, I’d really love to know why you would bring her home wearing only that! !” She pointed the index finger of her shaking hand at me, standing on the plush, blue carpet next to our couch, holding onto its arm for support, my knees knocking together. Ron went a little pale…I couldn’t stand to see my hero wrongly accused. “Mom! Listen to me! If-if it weren’t for him, for Ron…Mom I’d be dead right now!” I shouted it all out quickly, before she had a chance to silence me again. I really did enjoy this book. Mathieu does an effective job of making a particular situation look one way, only to discover there is much more to it than what the reader originally thought. I enjoy books that have the power to change your opinion of the characters and plot elements as you go along. 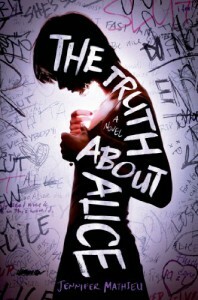 The author also painted a realistic picture in the mind of just how much Alice was hurt by the events that play out. I really could feel her pain and pitied her….immensely. Another believable element for me was the whole high school world and how status can determine what people believe, as well as the way it influences the way they treat others. High school can be a shallow, little world of its own, and this novel captures that, completely. The ending was gold for me. I think the author makes a real statement about the kinds of people who end up succeeding in the real world—the one that lies outside the bubble of high school. My husband and I drove down for a book signing in my hometown of Bristol, Tennessee…but the signing was in Bristol, Virginia, since the town actually exists in the two different states...but that’s another blog post. We had a marvelous time and I got to spend some much needed time with my baby sister, Susie, and see friends I hadn’t had the pleasure to lay eyes on in far too much time. But, the open road was not without its perils. A little more than two years ago, I was diagnosed with Rheumatoid Arthritis. Now, RA isn’t your regular, run-of-the-mill, wear-and-tear on the joints. This is an auto-immune disease that attacks the joints in the body, particularly the small ones in your fingers and toes. I have never been in so much pain in my life. My ankles, knees, fingers and wrists swelled and felt like someone was ripping them apart from the inside out. Both shoulders froze (not at the same time, thank god!) and I didn’t have the strength to roll over in bed or the mobility to wash my hair in the shower…and I’m a young woman! Hubby and I were desperate. I just wanted to go back to the way I’d been before. I was put on several toxic drugs that really didn’t help with my increasingly limited range of motion or my surmounting level of pain. I did, luckily, find Enbrel—a biologic that started to help, but my progress was very slow. In the meantime I ended up seeing a naturopath, and she advised me to give up wheat. At the time I couldn’t understand how food could be causing me to be so sick…and I didn’t believe her. Luckily, I did more research. I read blogs by other RA sufferers who’d been cured by changing their diet. And then I found the web site, and lady, who changed my life. I happened upon Maria Mind Body Health, Maria Emmerich’s blog about adapting to the grain and sugar free lifestyle. What was different about Maria was how she showed her readers they could make anything they wanted to eat, but in a “healthified” way. I stopped eating grain and sugar and my life changed. My pain went away, as did the horrible inflammation. And we were still eating good—almond flour gingerbread men at Christmas, hooray!—and my husband dropped fifty-three pounds! Suddenly, I was like everyone else again and the progression toward cripple I’d feared so very much came to a halt. 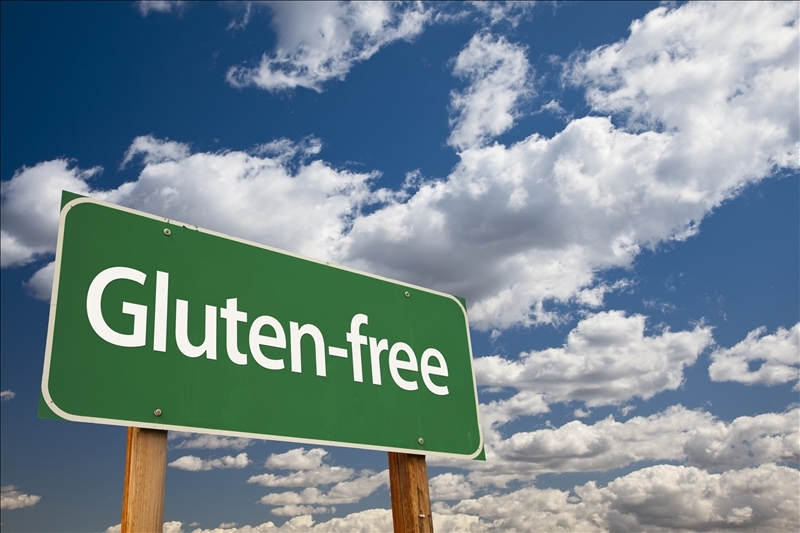 It turned out I was gluten intolerant, and the inflammation brought on by eating it was feeding my disease. After cheating once on vacation and having my ankles swell to the point of not being able to stand—thirty minutes after having a little pizza and a doughnut—I swore I’d never eat gluten again. We eat almost all meals at home and I very much prefer this, so I can know exactly what’s in my food. With the upcoming book signing, we knew we’d be eating out—it was unavoidable. I was nervous, but told myself I’d be very careful…turned out that didn’t even help. I realize I have to be responsible for my own health and food choices, but the onus also lies with servers and counter personnel working in the restaurant industry. If you are serving food to those of us with allergies or intolerances, you must be knowledgeable! Now on to the ultimate purpose of this blog post—to point out the two real-life examples that there are restaurants who, frankly, couldn’t give a rat’s behind about you or your health…and an example of one who’s made me a fan—and customer—for life. On the way down, our first stop for a meal was in New York, slightly outside of Buffalo, at an Applebee’s. I informed the server of my gluten intolerance and also let her know I don’t eat soy either, as it also exacerbates my symptoms—and most soy is GMO!!! Stay away…far away!! She was very nice and brought out a sheet listing the allergens for all menu items. I was absolutely overjoyed, because most of their salad dressings were soy free! This is almost unheard of in most restaurants and I usually end up with only oil & vinegar as an option at nearly every place I’ve eaten. At Swiss Chalet about the only condiment I can have is the Chalet Sauce, which was pleasantly surprised me. I enjoyed my bun-free burger and Ranch-covered salad at Applebee’s and thought maybe I’d been worrying too much about the whole eating out thing. When we stopped in Beckley, West Virginia at Bob Evans, the manager went back and cooked my breakfast herself to make sure the margarine they used on the grill didn’t touch our food. We tipped both her and our server. In Bristol, we took my son to his favorite place, Red Lobster, and they were also very accommodating. The server discovered the lobster tails were broiled with a butter sauce containing soy, so she had them broil it naked and brought me plain butter for dipping. At this point, I was feeling pretty confident. We’d managed to eat well and I was feeling just fine…until that last day. In Abingdon, Virginia, we took my nieces and sister out for a treat at IHOP. I told the server I couldn’t eat gluten and proceeded to order an omelet. You’d think that option would be safe, wouldn’t you? BTW, it was a Chorizo Fiesta Omelet with grilled serrano peppers on the side…and it was blindingly delicious. I enjoyed every bite…but I’d pay for it later. That night I started to get joint pain and felt achy all over. I’d just had my Enbrel shot, so I couldn’t imagine why. And I’d been so careful about my diet hadn’t I? Well, it happened that I hadn’t been careful enough! On our way home the next day, we stopped at an IHop for breakfast in Beckley—after walking out of Cracker Barrel for their use of margarine, ewww! The staff here was pretty rude, from the hostess who couldn’t be bothered with us while she talked with a friend for ten minutes, to the server who just seemed annoyed we’d shown up in her booth. She did, however, show more care than our cheery, attentive waitress from the day before. I was horrified when I ordered an omelet and she let me know, after I’d told her about my dietary restrictions, all of them contain PANCAKE BATTER! My brain reminded me that I’d read this on Maria’s blog in the distant past and I kicked myself mentally for gobbling down the omelet from the day before. And I was none too happy with the server who’d served it up to me without a thought. Turns out her lack of conscientiousness cost me over a month of pain. My fingers on my right hand, ankles and knees have all paid the price for that one omelet. But the restaurant can count their lucky stars that was all I suffered. I hate to think of the price someone would pay if they ate there having an anaphylactic-type food allergy. On the flip side, let me tell you how—again—I was uber-impressed with Applebee’s! We stopped at the location in Erie, Pennsylvania. I’ve never seen staff in a restaurant be so conscientious. Our lovely server, Rosalyn (who gave me permission to use her name in this post), not only brought over the allergen sheets, but the manager to go over them with me, as well. The manager went through each item I was interested in, went in the back to check ingredients, and even stayed in the kitchen to supervise the cooking of my food to make sure all went as planned. I’ve never seen staff that cared so much. I’ve never been as impressed by a restaurant in my life. And they will be my eatery of choice whenever possible! Lesson learned and Buyer Beware! I’ll keep striving to have a healthy body and mind—contributing to the being the best author I can be! My family and I live in Monterey, California. I have a super charged five year old daughter named Olivia and an amazingly supportive wife named Annie. As for myself, I work as a freelance art director and illustrator with an overly active imagination and need for challenge. 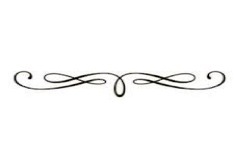 Ever since my cousin taught me how to draw a swan out of a number two, I’ve always loved to draw. I can’t say that I’ve always wanted to be an artist. I wanted to be a superhero when I was a kid, but always settled for telling stories through pictures. I owe the discovery of being an artist to my high school art teacher, Mrs. Weigel. She encouraged me to focus my passion for drawing into making it a career. Music and seeing how other artists and movie directors think. There’s something about watching how creativity inspires others that can be contagious. Listening to music (mostly without lyrics) can transport you through your imagination to all sorts of cool and interesting destinations if you just let the tempo carry you like a current. I’ve always played at drawing my own comic some day. Drawing my own characters, plotting out scenes on scraps of paper. It’s always been a pet project of mine that I’ve had on my bucket list of things to accomplish. Who knows, maybe someday? 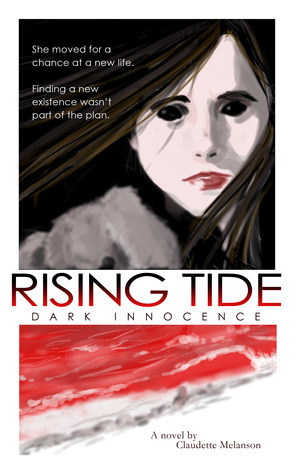 What inspired your cover for Rising Tide: Dark Innocence? I knew that I wanted it to look intriguing. I wanted it to fit the novel. Playing off the heroine’s innocence and the darkness that surrounds her. But most of all I wanted her to feel like an apparition that you could not easily dismiss once you looked at her. 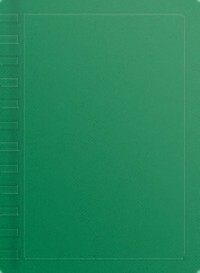 How long did it take you to create the book’s cover? That cover… oh boy. It went through a lot of rounds of play. I can’t remember how long to be honest, but I can tell you it was a really fun puzzle to figure out. Right now, I’m working on a freelance gig, doing commissions and also working out stray ideas for my own “pet” projects. It’s a lot but it keeps me out of trouble. Will you be designing more covers for other authors? Good question. Do you know any authors who are looking for an illustrator? 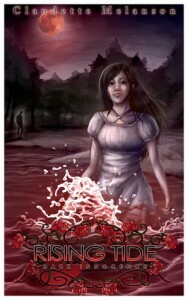 Do you have any ideas for the cover of Claudette Melanson’s next book,Undertow? I’ve got a few ideas that I’m keeping close to the chest. We’ll both have to see the next book to see how it turns out. Haha! What’s your favorite aspect of the cover you designed for Rising Tide? Wow. That’s actually a tough question because there are elements I like for different reasons. Honestly, I think if I were truthful with myself…I would have to say that the visuals are not overly complicated. I think it says all that it needs to hopefully coax a reader into asking questions about what the book is about. Do you have any advice for aspiring artists reading this? I’d say that for everyone (me most of all)…humility and a healthy fear are the two greatest tools any artist can have. Humility in that we’ve always got to a lot to learn. And a healthy fear, that if we’re not pushing our abilities enough, we won’t grow to be better. Talent only takes us part of the way. It’s the effort and willingness to put ourselves out there (win or lose) that officially tells us…you’ve started the journey. What are some of your favorite things to do when you’re not creating art? I really enjoy watching speed drawing videos on YouTube (art nerd I know), watching movies and playing with my daughter. But truthfully, you’ll have a pretty hard time getting me without a pencil or stylus in my hand. What’s your favorite drawing you’ve ever created? I would have to say, a quick pencil sketch of my daughter Olivia. It might not mean that much to someone else. But it means the world to me. How do you know Claudette? Claudette and I have been friends for quite a while. We met over a website forum a few years ago and have been pen pals ever since. 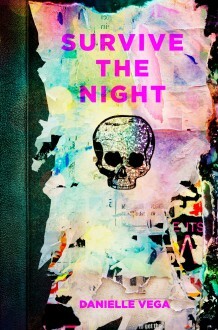 What are some things you hope to accomplish from this novel’s cover design? I think my intent was pretty basic. I hoped to demonstrate through visuals that the novel doesn’t mess around. That by treating the content with respect and attention to detail it represents the author’s heart and soul in this story. How do you come up with the ideas for your artwork? Drawing. Sketching. Note taking. Repeat. Would you like to design more book covers for other authors in the future and if so, what kind of covers do you hope to illustrate? If I had an opportunity presented again, absolutely. I’m a big fan of science fiction, so maybe having a go at that genre would be fun. I’ve received some really great feedback from people who’ve seen the “Rising Tide” cover and appreciated it. I can’t express how thankful I am to them for that. It’s definitely one of my top ten feelings. Ever since I was in high school I’ve always thought it would be cool to be a comic book illustrator but I’m also holding out for being a superhero too. Do you read? If so, what are your favorite kinds of books? I do! I read a lot of books on art, but I also really like super natural thrillers and science fiction. Not to take a motto away from the army but being the best artist, dad and husband I can be. Would you like to commission Daniel for your own project? You can find him here! Bullies. Haven’t we all dealt with at least one, at some point in our lives? Bullies are the worst kind of people. They find someone they consider different and torment them, for no good reason other than to make themselves feel more important. Maura encounters a group of these heinous tyrants in my novel, Rising Tide. When I started writing this book, I had no idea the bullies would pop up—and they did in the first chapter. 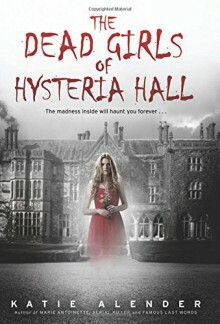 I wanted to write a story about a particular type of character and the paranormal change she was going through, but as I was writing, Katie Parker insinuated herself into my sentences, almost as if of her own accord. My writing kind of flows like words on tickertape and the story just comes out—without my knowing what is going to happen next! I know the basic outline of my story, the elements of my characters and where the plot is headed, but sometimes idea work their way in, and I haven’t seen them coming. This happened with the whole first part of the book for me. Not to give too much away, but I was kind of shocked when I saw what this group of bullies was going to do to my poor Maura, as it came forth from my imagination onto the pages of my book. It was obviously there, in my sub consciousness, waiting with baited breath to make its way out into the world. I remember being a very quiet kid. I was a bookworm and that in itself drew a lot of negative attention my way. During my birth, one of my legs was twisted, affecting my hips and causing me to walk with my feet turned in, until special shoes finally took care of my little problem. I remember the name calling and how much it hurt. Luckily, this didn’t persist much past the first grade. There have been other times in my life when I’ve had to endure what the bullies are dishing out, even during my adult life in the workplace and with a few people in my personal life. Luckily, as adults we can usually find a way to remove the bullies from our lives—but not without losing something ourselves, whether it be feeling forced to find another job, carrying with us that awfulness the bully placed in our heart or even having physical manifestations like nightmares or illness from the stress and anxiety. As far as my stance on bullying goes and the way things worked out for Maura, I say this: The person being bullied is the ultimate winner. That person is not the one dishing out destructive behavior and hurting another human being. The tormented may suffer, but they can at least live with knowing they are a better person than the bully. When a bully is acting out, they are putting on display to the rest of the world the most hateful, mean, immature and selfish tendencies human beings possess. They think that by putting someone else down, they somehow make themselves look more strong or capable. All the people observing them are really thinking is about how debase the actions of that bully are, and probably what a waste of space their existence is in our world. One can never build up his or her character by putting another down. All they do is bring a negative cast to their own reputation and invite Karma to claim justice for the malicious act. Maura does the best thing she can do in her case. She wants to forget about it and put what happened behind her. That takes power away from the cruelty the others inflicted upon her—it doesn’t even matter enough to be remembered. Maura moves on to better things that she wants to hold onto in her memories. She wants to concentrate on the boy she’s falling in love with, the mother who treasures her and the genuine friends she is making—not the mean-spirited people who wanted to hurt and alienate her just because they saw her as different. What kind of a person does that anyway? And I did mention Karma…well, Maxwell has returned and he is death walking when he wants to be. Maura may be the forgive-and-forget type, but in book two Maxwell will show us that he is not quite as forgiving as his daughter. Are you bullying someone, even unintentionally or sub consciously? “The purpose of bullying is to hide inadequacy. It has nothing to do with managing: Management is managing; bullying is not managing. Anyone who chooses to bully implicitly admits their inadequacy. What is the cost of bullying? Check out more at bullying.org to see more on the topic. They offer valuable information, which includes a list to check against to see if you are being bullied and they even offer very helpful suggestions as to what you can do about it. One section talks about the ill health effects that can pop up in someone who is being bullied, and that is one of the most important considerations. Nothing is more important than one’s health. 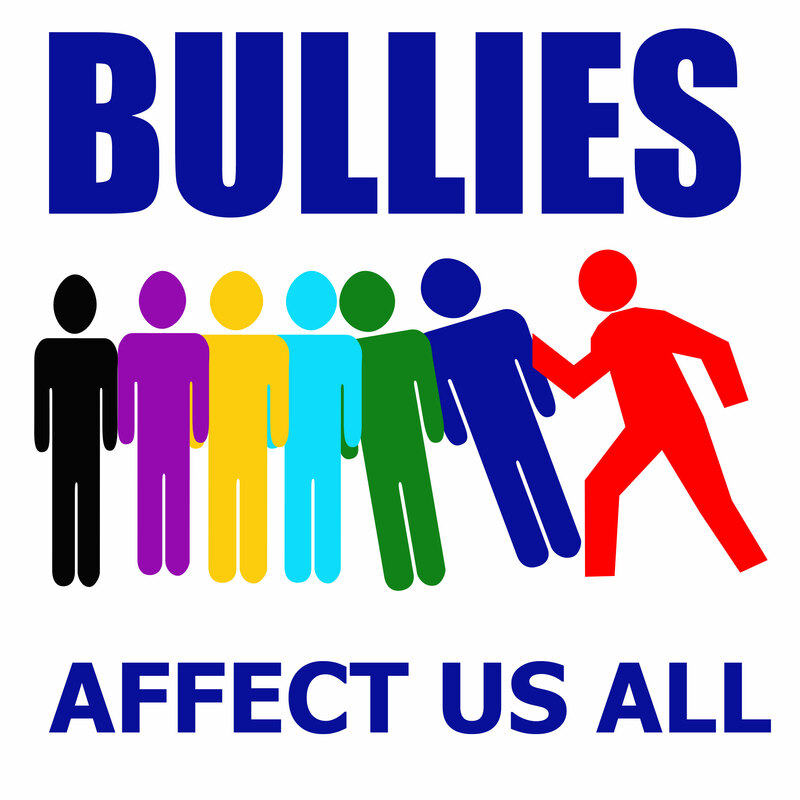 Bullying is a major topic of concern we should all take more seriously, so we can work toward its eradication. I’m proud to give it presence in my book, so that my readers can hold it up for moral consideration. As one reader mentioned there are a few grammar/spelling issues, but it definitely doesn't take away from the story. It was raw, as I imagine a zombie's existence would be. 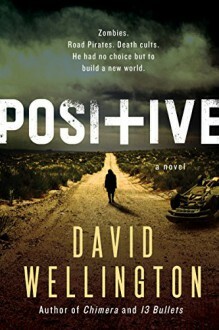 I was surprised by a few things...I won't give those away...but they made the story and showed what the writer was trying to get across, I believe, the darkest parts of humanity. One of my favorite scenes was when the main character, in zombie form, was frozen to the ground in a field. The description of her pain was so graphic and realistic, I could almost feel it myself. The progression of the rot in her body was also written in a very realistic way. I liked the writing style too. It was very poetic, very thought-provoking. 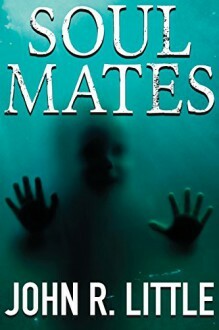 This is a book that makes you think about humanity, what we're capable of, how we can be monsters without ever being turned into a flesh-eating zombie. This was a very enjoyable read for me! And I definitely recommend it to others.